Today was a day spent shaking our head in disbelief at how these workers were ever hired by Lowes or anyone else. The good part was that all three showed up. It went downhill from there. 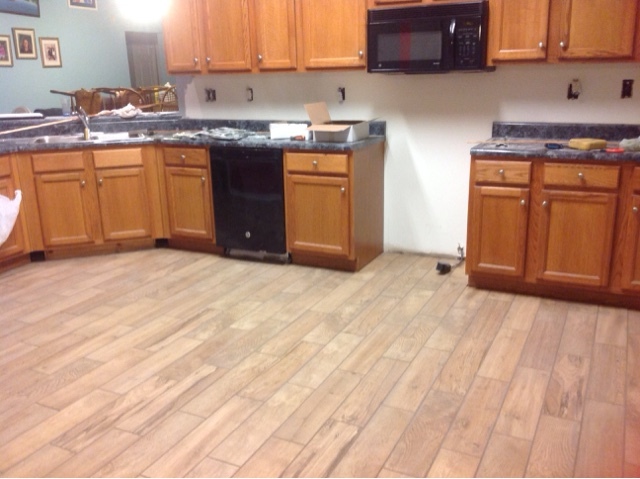 Because they botched the grout on our diningroom twice (it took 3 times to get it right), we ended up short of grout. We drove to Lowes three times to buy grout, bulkheads & mosiac tiles which were all short from our supplies. Finally, our point of contact in flooring expressed concerned over why we have to keep buying extra supplies. Our response? "Incompetent contractors"
Main concern right now is grout . Lowes originally estimated that we would 15 bags for he entire house, excluding the bathrooms. Following the diningroom fiasco, we purchased more bags from Lowes which cost us $. Yesterday they used all FOUR bags just on our kitchen! They are wasting so much of it by mixing all this grout & then dumping 1/2. 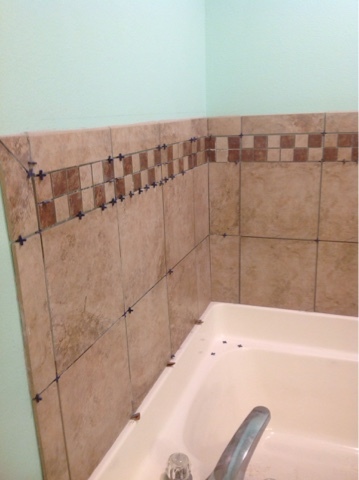 They were able to finish laying the tiles in the master bath. They added tiles to the backsplash in the master bath. 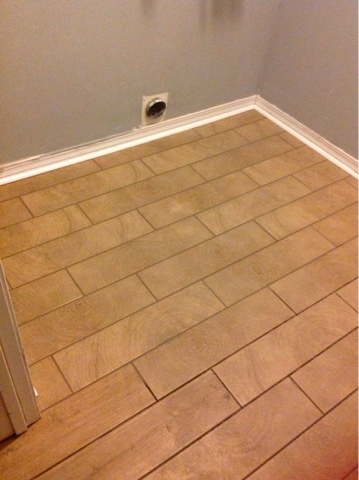 and 1/2 the grout in laundry room. Today we will need to buy more grout.....again!